Today the London Independent has published photos of progress at Crossrail. The £14.8bn project, slated for completion in 2018, will connect Maidenhead and Heathrow in the west to Shenfield and Abbey Wood in the east. The developers claim it will increase London’s rail capacity by 10 per cent. The pictures show the five tunnelling machines carving new paths under the capital, and remodelling old ones, some of which were first used in 1878. Over 7,000 people are working on the dig, which goes on 24 hours a day. Click image for more. Crossrail is among the most significant infrastructure projects ever undertaken in the UK. From improving journey times across London, to easing congestion and offering better connections, Crossrail will change the way people travel around the capital. 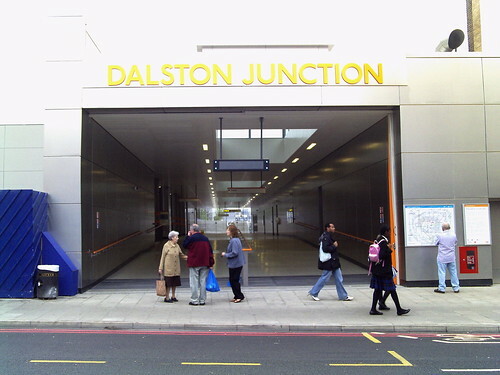 Crossrail’s new stations will revitalise the concept of the station being the centre of the community it serves. Click image to go to the story. Jonathan Freedland compares today’s Crossrail project with the first Thames tunnel built by Marc Brunel in 1825. The City and its surrounding area now join established Prime areas such as Mayfair, Knightsbridge and Belgravia, says Knight Frank. The estate agency says it will add the City and its Fringe to its monthly Prime Central London Index of property prices, which has been tracking luxury property values since 1976. Gráinne Gilmore, head of UK residential research for Knight Frank, said, “Four main factors make an area stand out as a prime location in central London: good levels of top-end housing stock, a central location, good transport links and excellent retail and leisure facilities. This combination delivers a higher than average propensity for growth in capital values. London business chiefs have set up a panel to explore building a new rail link – dubbed Crossrail 2 – beneath the capital. Former transport secretary Lord Adonis will lead the group in assessing plans to connect Chelsea and Hackney. Business group London First recruited him, amid fears that the Tube will be swamped by a future population boom, and by the extra commuters who will pour into the capital using high-speed rail. Mayor Boris Johnson’s transport strategy promotes a new east-west underground line but firms want to ensure it does not suffer the kind of delays which have dogged the existing Crossrail scheme. The proposed route would go from Parsons Green to Leytonstone via Chelsea, Sloane Square, Victoria, Piccadilly Circus, Tottenham Court Road, King’s Cross St. Pancras, Angel, Essex Road, Dalston Junction, Hackney Central and Homerton.